When we left off I was so excited about the book store I basically forgot to share where we ate that night. Another restaurant called Masala, except this time its full name is Masala Grille. More amazing Indian food, another buffet. The waitress was having a terrible day, she dropped 10 plates and ran into a door. I really hope her everning picked up. I forgot my wallet so using that as an excuse I had a Fuzzy Navel, it was yummy. We went back to the hotel and stayed up to 330 in the morning. WHY, you ask... Because we found a Tom Hanks movie Apollo 13. Having never seen it we quiet enjoyed watching it then Wikipedia's it. Monday we decided to go to the mall for cheaper breakfast only to realize it was afternoon and no one was serving breakfast anymore. 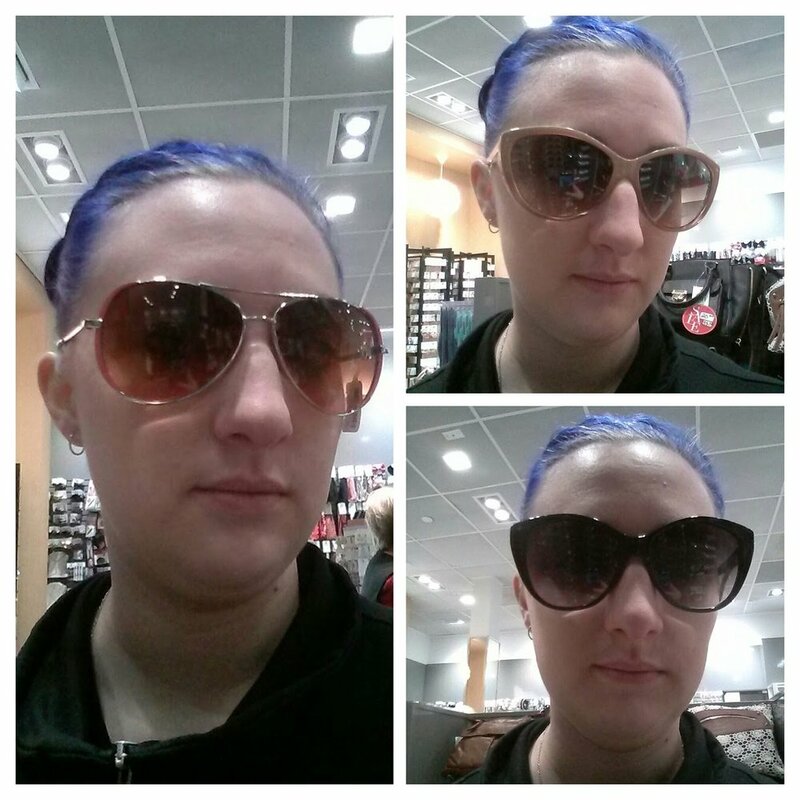 I found a new pair of sunglasses at Icing, bought a water-proof coat at Eclipse and a science book at Coles. After grabbing a Starbucks and spending sometime playing games there. We did something we have never done before. 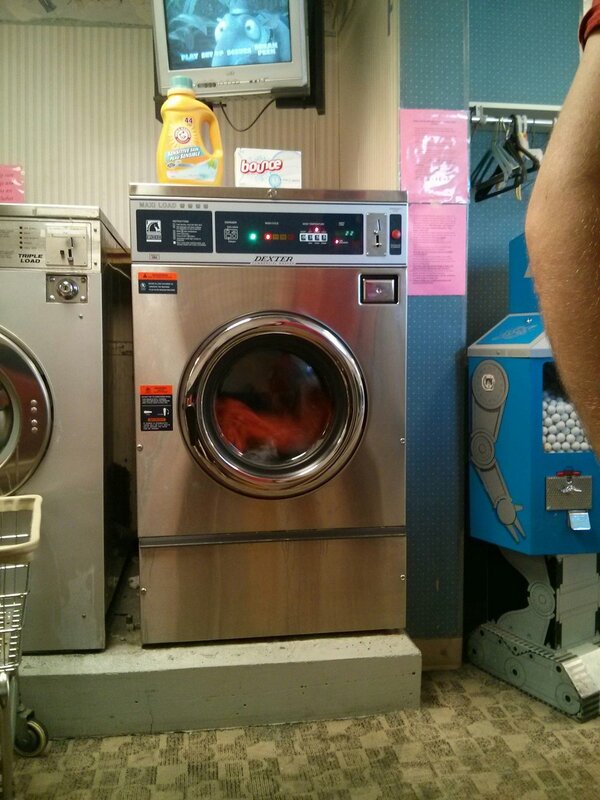 We hit up Barb's Laundromat. From there we saw Hotel Transylvania 2! Great movie and while I love the family dynamics in the movie I am slightly annoyed that only Mavis controlled her families location and that she didn't take anyone else's feelings into consideration. It would have been better to have seen it as a joint discussion between Mavis and Johnny, but then there wouldn't have been much purpose to the story! Tuesday, we got breakfast and then went for a walk around Lake Superior. Now the lake is huge and it would take days to walk around it, so we maybe walked 1/2 a mile before getting an email that sent us back to the hotel. Where we basically didn't leave until Wednesday afternoon. The email was from immigration sending out our new papers to cross the border. Our papers arrived via FedEx Wednesday around 1230. We packed up and headed towards the border! Check back Friday for our border crossing! See the whole journey here!